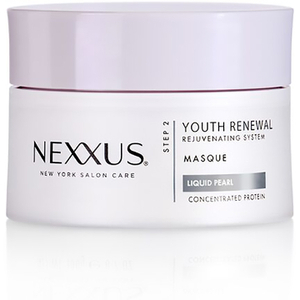 Unlock luminosity in the hair with the Youth Renewal Masque from Nexxus; a restoring hair masque that penetrates hair to nourish within. 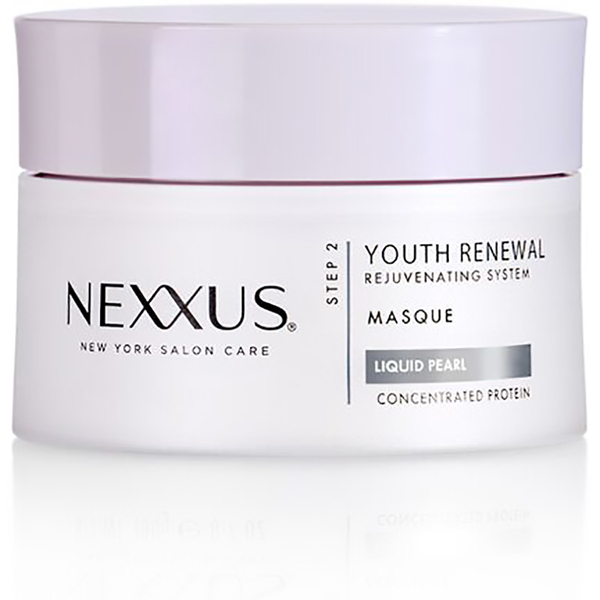 The conditioning masque is formulated with Liquid Pearl, marine pearls known for their visual lustre and mineral rich formation, and 100% Pure Elastin Protein that ensures in depth moisturisation and shine. The weightless formula replenishes and rejuvenates hair within without weighing it down, leaving you with sleek, luminous and youthful-looking hair. – E.W. Press the rich cream from the middle of hair to ends, comb through and leave in for 3 to 5 minutes. Rinse thoroughly.